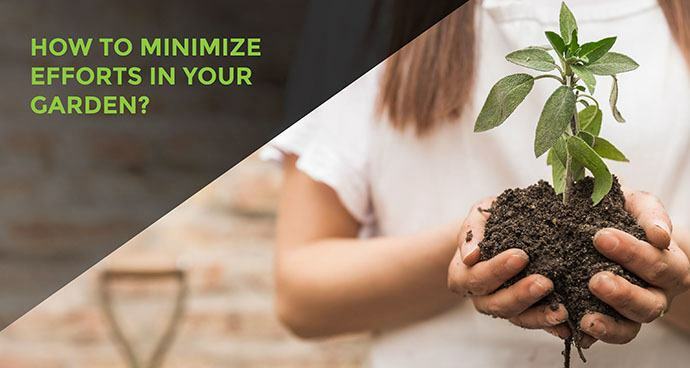 →How to minimize efforts in your garden? Growing your own permaculture organic fruits and vegetables is a great way to save money and adopt a healthier diet, and with permaculture, you can minimize efforts from you. This article provides several useful suggestions that you can utilize to make sure that your permaculture garden fulfills all of your needs. If you are starting now, be sure to prepare the soil in the right way. Do some weeding if necessary, then break the soil until it is no longer packed. The soil should always be shaped in a way it receives and collects adequate moisture. A valid opportunity is given by raised-beds, especially in temperate and tropical climates. Generally speaking, raised-bed gardening is a form of gardening in which the soil is formed in three-to-four-foot-wide (1.0–1.2 m) beds, which can be of any length or shape. The soil is raised above the surrounding soil, is sometimes enclosed by a frame generally made of wood, rock, or concrete blocks, and may be enriched with compost (highly recommended). To keep your plants from getting shocked, you need to gradually introduce them to changes in temperature and conditions. Put them outdoors in the sun for no more than two hours the first day. Over a period of several days, slowly increase the time they are allowed to stay outside. If you do this correctly, the plants should be able to make their final move at the end of a week’s time. Start your plant in pots before you plant them in your permaculture garden. This can give your seedlings the advantage they need to survive and reach adulthood. This method also reduces the waiting time between plantings. Your seedlings will be ready to go in as soon as you remove the previous set of mature plants (don’t forget to leave their roots in the soil). This is especially true for plants that produce very small seeds, like basil or tomato. To get the best results, you must use the right soil. The kind of plants you want in your permaculture garden should let you know what kind of soil you need to get. This is why the most important skill we need to develop is observation. What does this plant is “says” to me? Please avoid the use of any plastic. Many of the plastics used for gardening simply end up going in the trash and clogging landfills. An environmentally-friendly garden is started with seeds or plants grown in organic pots. If you want to mulch your garden, use only natural material: straw and wool of sheep work super well. Your children will enjoy the experience of working with you in the permaculture organic garden. A permaculture garden can provide a wonderful learning experience for children and will give you an opportunity to bond with them while you produce healthy food. As you read, a permaculture organic garden can be incredibly important to your current and future dietary habits and so is understanding all the different kinds of plants you can grow. Using the information that has been provided is a great way to start a permaculture organic garden of your own and if you want to learn more, you can always attend a Permaculture Design Certificate Course.